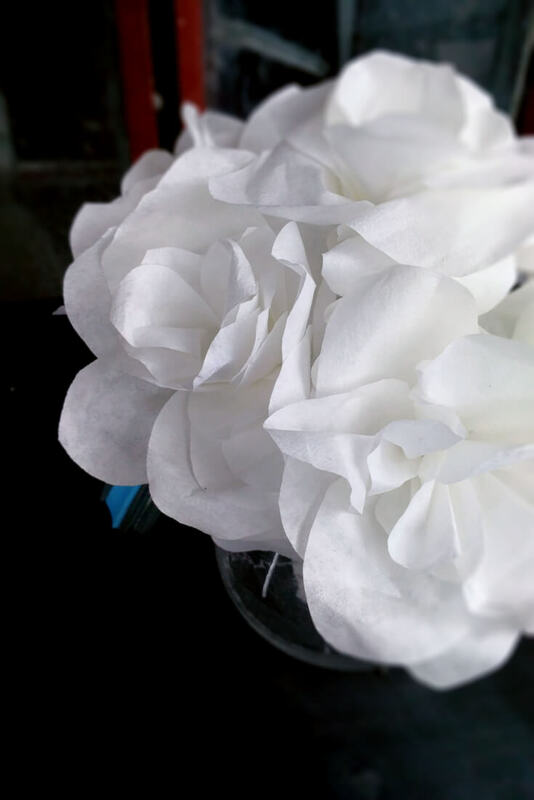 Learn how to make coffee filter flowers that are both beautiful & easy to make. Brighten your decor with classic white flowers or dye them to suit your mood. I love the look of flowers on my table! It really livens up the room and adds a pop of color and style. What I don’t love is the cost of buying fresh cut flowers, dead flowers in the vase with swamp water inside, or the cat knocking over the flowers and spilling water everywhere! What is it about cats trying to eat the houseplants? I wish there was a way to keep flowers on the table without spending a fortune or having to mop water daily. What would be even better is if I could change the flowers out to match the seasons or the holidays! Finally, I’d prefer not having to dust them like you have to do with silk flowers. Because really….who has time for that? Even if you’re more of a Pinstrosity crafter rather than Pinterest worthy – this tutorial is easy to do and it’s huge on style! In a few hours, you can create a gorgeous bouquet of flowers using little more than coffee filters, food coloring, and a pair of scissors. Let’s get to making these coffee filter flowers, which you can customize to match your home, the season, or the next holiday! On the bottom part of the coffee filter, draw the pattern for two petals. This will become your template for the project. With a pair of scissors, cut out the pattern that you created. Separate the two sides of the coffee filter. This will give you two of the two-petal shapes for starting your paper flower. You need only two for every flower. You may cut more of the two-petal parts ahead. Then using the extra spaces of the coffee filters, draw bigger petals but draw them individually. For each flower, you will need 5-6 medium-sized petals for the middle part of the flower and 5-6 of the much larger petals for the outer part of the bloom. You can also easily cut a few of these at a time. I comfortably cut 4-5 coffee filters at once. Cut about 6-7 inches of wire. Starting with one two-petal piece, put the wire through the middle and bend it as shown. Wrap it around the wire, ruching the paper around. Secure with a small piece of masking tape. Ruche the second two-petal piece around the first one. Again secure with a small piece of masking tape. Then add the mid-sized petals to the bud one at a time, securing each petal with tape. Feel free to add 4 more mid-sized petals if you want a big rose bloom. Then add the biggest sized petals in the same manner until you are satisfied with the size of your flower. As you ruche more petals around the bud, you will see a rose starting to form. We aren’t quite done yet, though! Once you are happy with the size of your flower, wrap florist tape around the bottom of the bloom. This will hide the masking tape and make the area where you gathered the petals look neat. You may cover the rest of the wire with florist tape. When using florist tape, you need to stretch it out as you wrap it around the wire or the flower. This is how you make it stick. Continue making additional flowers for your bouquet. Do not attempt to shape the petals yet. You might end up tearing the paper. Instead get a bowl and fill it with a little water. Tap each flower lightly and don’t allow the flower to become soaking wet. Just lightly tap or dip into the water and allow the water to seep into the rest of the petals. Coffee filters are extremely absorbent so a little water goes a long way! This is also a good time to add color to the roses. To do so, you can add a few drops of food coloring to the water. Alternately, you can just leave them white. Now that the filter flower is moistened, you can open it up and shape it the way you want your rose to appear. Let the coffee filters flowers dry. If you didn’t use food coloring earlier, you can also use watercolor paints now to create the colors or designs you’d like. Generally, food coloring will produce more vibrant colors than watercolors will. You can also leave the roses as is, for a stunning white bouquet of roses. Now that you’ve made your cat-proof and dust-proof flowers, you don’t need to stop at just placing them in a bouquet on the table. Paper flowers can be joined together for a garland, a wreath, a cute table runner, or even a hanging arrangement spilling over from a planter. 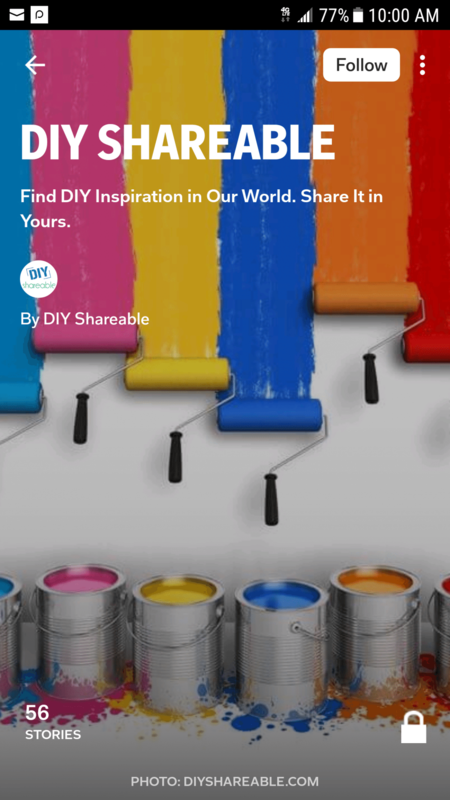 They are versatile, easy to make, and easy to change as your mood or the season permits. As for being dust proof – a quick shake should eliminate dust or you can always just make a new batch and change up the decor!